The report presents the methods used, data gathered and conclusions drawn from MSP work conducted in the Central Baltic Sea area as part of the Baltic SCOPE project. It provides a summary of the status and current development of MSP in the Central Baltic and a base for future transnational collaboration. 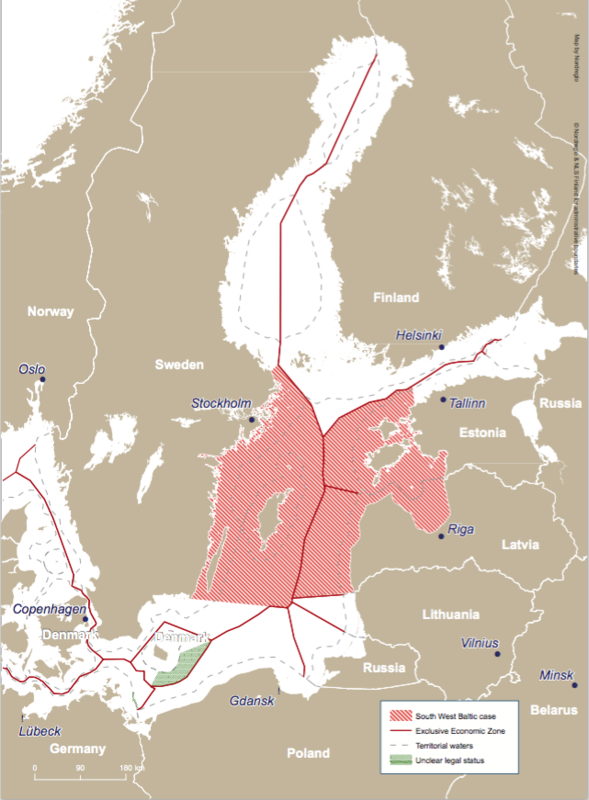 What is the status of MSP in the Central Baltic? How can transnational cooperation and understanding for MSP be established? 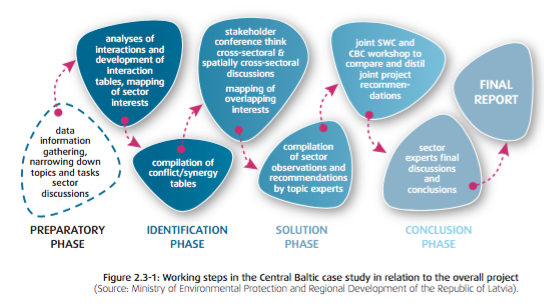 The report was developed in the context of the BalticSCOPE project to document the thematic, process-oriented approach taken for the Central Baltic case study. This approach was chosen in the absence of any clear transboundary conflicts between the countries. The Central Baltic countries face common socio-economic challenges, opportunities for Blue Growth, pressures on the marine environment, and competition with traditional uses. The case study was successful in developing transnational cooperation between the participating countries, and created foundations for ongoing cooperation and harmonised plans. It led to a common understanding of developments in marine use sectors and better knowledge of institutional frameworks. The common mapping exercise identified the need for further planning evidence and data and the need to address method gaps. The involved countries concluded that it is not necessary to synchronise national MSP and develop common plans, and that the differing national approaches will likely remain. Involving national stakeholders has helped increase their understanding of MSP and their potential role in it. The case work resulted in sector specific recommendations regarding integrating specific sectors and their needs into MSP, promoting institutional integration and working to improve transboundary planning evidence. Important obstacles were also identified to develop transboundary MSP in the Central Baltic. The case study approach was developed as a result of the specific context; namely, the countries involved and their relationships, as well as the overall Baltic SCOPE goals and objectives. Therefore, the overall approach may not be transferable to outside contexts, but several methods and resulting outputs could be used in a different context.